As with the Miss America Pageant, four categories of competition have dominated the national Deaf pageant since the 1970s: evening gown, swimsuit, talent, and congeniality (the question and answer—Q&A—interview). At most, two of the categories—talent and interview—encourage expression in ASL, and judges are expected to assess fashion taste in all four sections (as listed on their ballots). Moreover, the talent and congeniality performances occur in the final rounds, after all the contestants have “passed” under the audience gaze, representing themselves solely with their bodies (not using signed or spoken language). Thus, although many claim that such pageants offer deaf women a chance to express themselves, it is a highly physicalized version of expression, and the performative nature of the Q&A leaves a tightly scripted—and muted—personal voice. 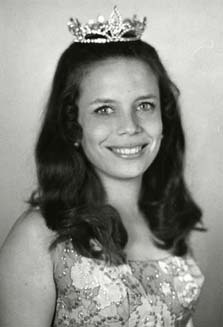 The example of Ann Billington, winner of the first Miss Deaf America pageant in 1972, encompasses these complicated notions of “normalcy,” beauty, and cultural deafness. Dressed in a trim white sailor suit, Billington signed while vocally singing a piece entitled “Hey, Look Me Over” during the talent competition. Raised orally, she only started to learn signs while attending Gallaudet College.23 Articles on Billington consistently noted her understandable speech and her ability to read lips well. Many other contestants and subsequent winners had similar backgrounds and abilities and were proud to express them.